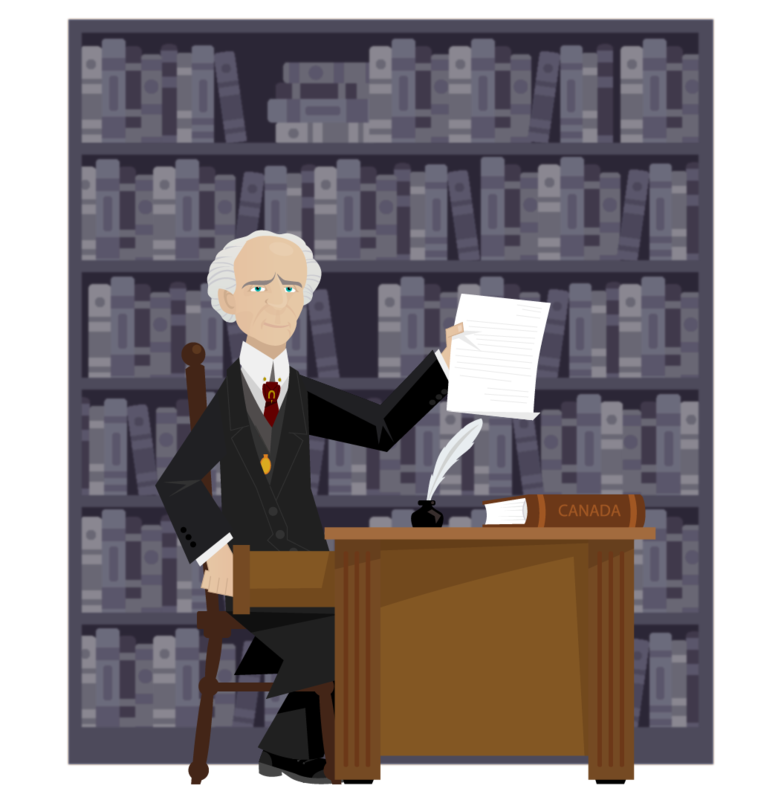 Drawing of Wilfrid Laurier sat at his desk showing us a speech. He is dressed in his black and gray coat, a red tie decorated with a gilded horseshoe, and his gold pocket watch. A book marked Canada and a pen in an inkwell are on his desk. There is a large library in the background. Throughout my lifetime, I sought to unite my country and make it a good place to live. During my mandates, I worked to lead Canada towards modernity. I believe that I succeeded. What do you think?